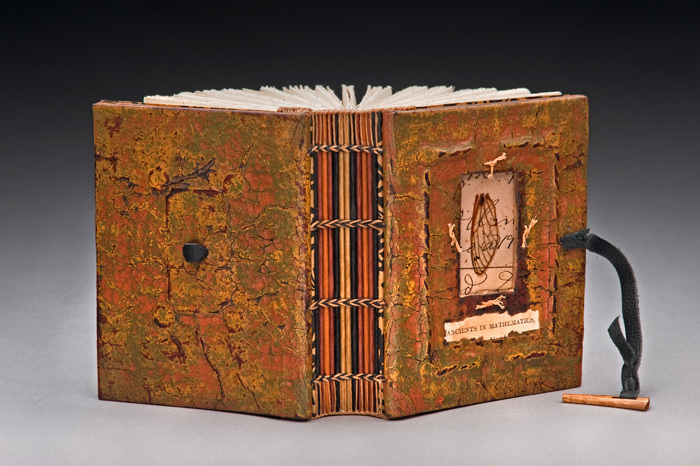 Developed as early as the fourth century, this Ethiopian binding style has withstood the test of time. 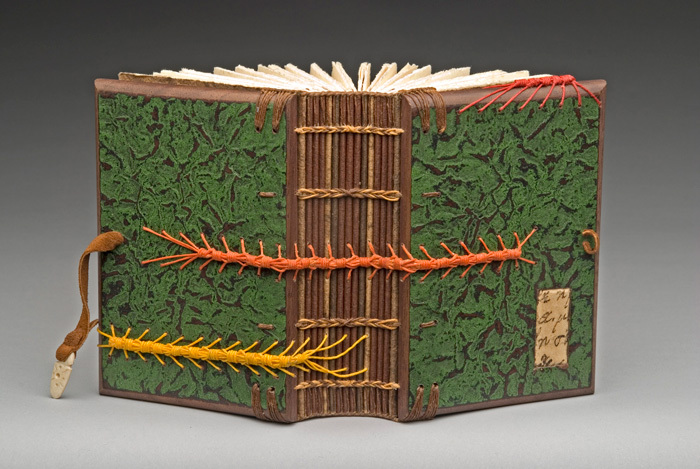 The elegant sewing structure, combined with wooden covers, opens a wide range of possibilities for both the beginner and the advanced bookbinder. 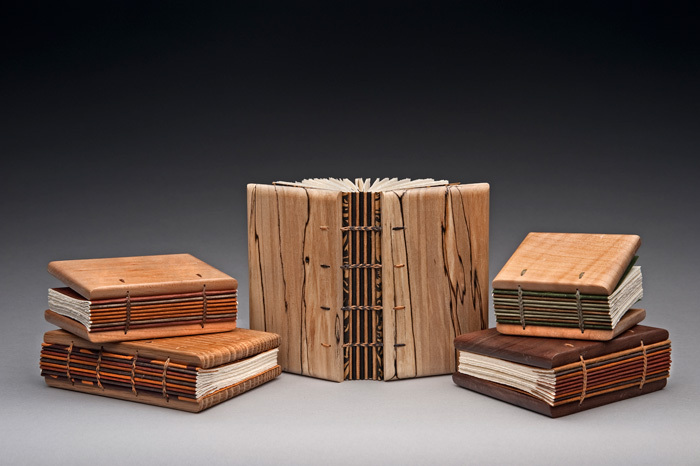 Using simple hand tools, participants will drill, shape, and smooth book covers. Finishing includes sealing wooden covers with milk paint and a coating of wax as well as adding a leather closure. Classes are limited to 2-4 students. For more details, visit Scheduled Private Workshops. 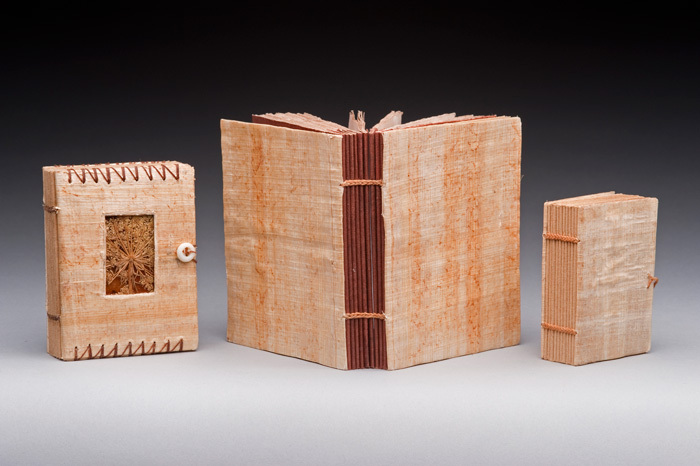 This is the WOODEN COPTIC WORKSHOP with the addition of mica pages. 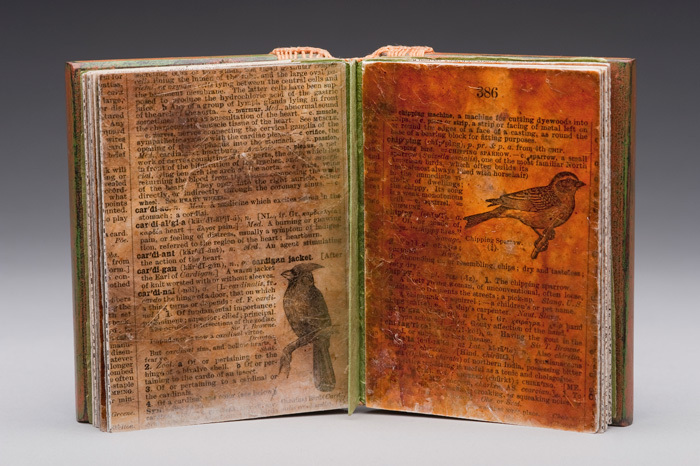 Painted-paper technique is featured in this class. Two books that share a central cover. Features most of the techniques of WOODEN COPTIC BOOK, but few tools are need because papyrus is used instead of wood. 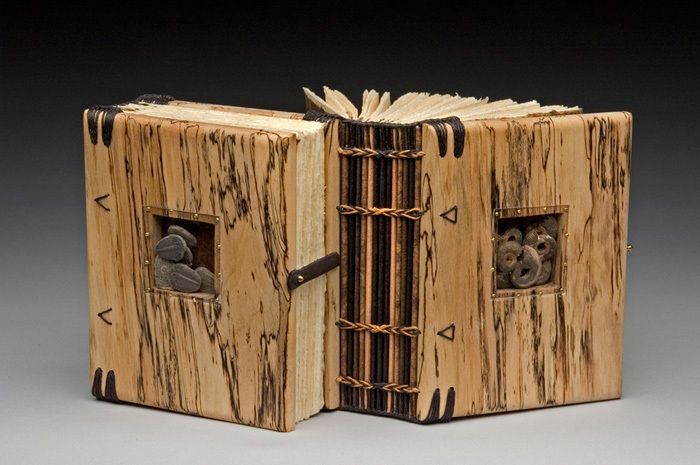 WOODEN BOOK WORKSHOP that features a hardwood local to setting, in this case olive wood. 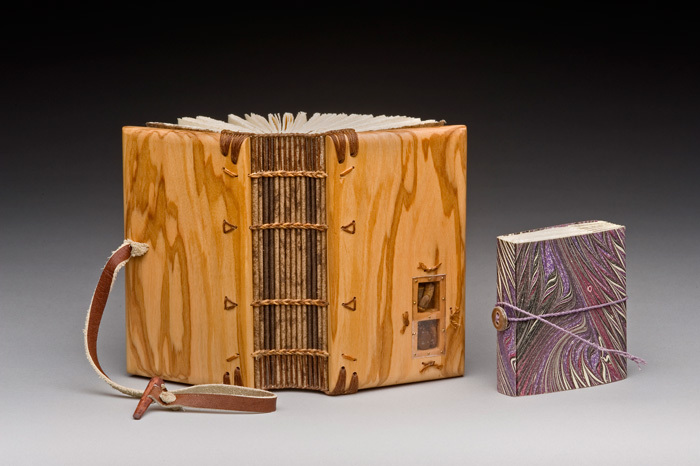 WOODEN BOOK WORKSHOP without painting, windows, or endbands. Utilizes hardwoods that are selectively and respectfully harvested from the mountains near Asheville. 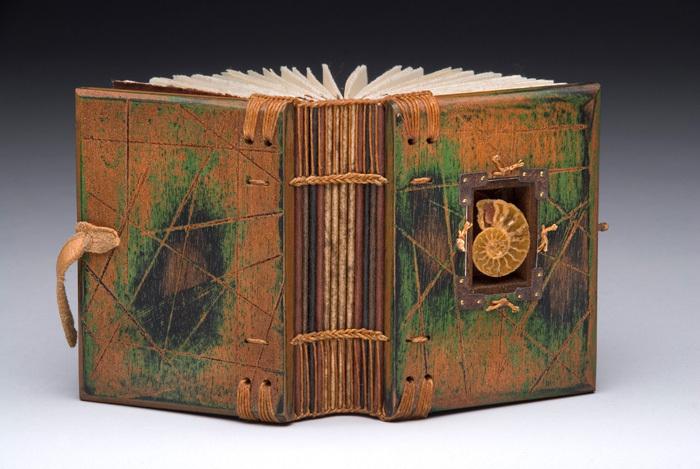 Also taught using Cave Handmade Paper, mica, or cloth. For more details, visit Custom Private Workshops.